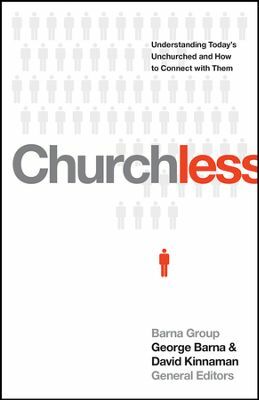 Churchless written by Barna Group, is not a book intended for the masses. Honestly, outside of Christian circles, a reader would be mystified by this particular title. Editors George Barna and David Kinnaman have provided an amazing piece of research for churches and for the Christian who have noticed the culture shift in our country. Quite frankly, it is hard to miss! Churchless offers insight into our nation and why church is no longer a priority even for those who claim to know Christ. I think one of the most striking descriptions in this book is that of the “actively churched.” According to Churchless, actively churched can be defined as those who attend church once a month. This truly shocked my socks off! Maybe I am old-fashioned, but to think that the most devoted to the church attend so little is a discouraging thought. According to Churchless, 1 in 6 “unchurched” Americans is a born-again Christian, totaling 18 million people. If all of them came to church on a Sunday, it would be the equivalent of adding 50 people to each of the 320,000 Protestant churches in the United States! I am guessing most churches haven’t seen that many first-time guests in a long time. There are many more golden nuggets of information in this book that make it a must read for churches and Christians. The best of which is a detailed list of what does and does not work in attracting the “churchless” to your church backed up by researched data. I was given a complimentary copy of this book by its publisher, Tyndale House in exchange for an honest review. All opinions are my own and I have not been compensated.